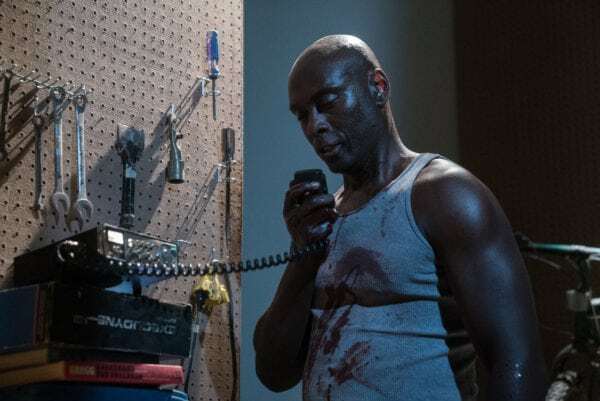 Lance Reddick is an acclaimed actor and musician who has been working in the television, film, and music industries since the late-90s. He is best known for his roles on Oz, The Wire, and Fringe. 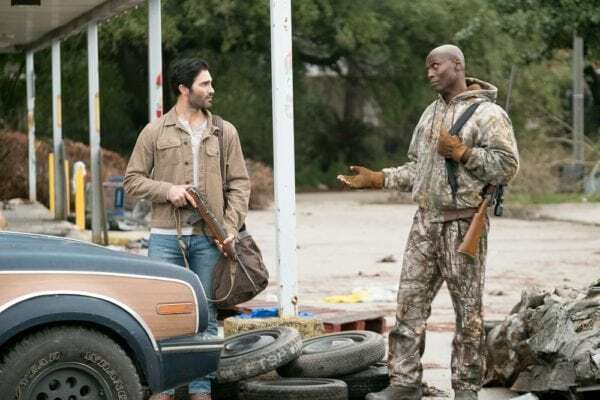 His latest work was for the action thriller The Domestics, which will be released in limited theaters July 4th. Mr. Reddick, I mean this when I say that it is an absolute honor to be speaking with you sir. I was a huge fan of The Wire back in the day, and to actually talk to you is a dream come true. So thank you for taking the time out of your day to talk with me. Oh thank you, thank you, absolutely. So I know, before getting into acting, you were initially interested in pursuing a musical career, specifically jazz. I ask because, over the years we’ve heard many studies about how there is a positive relationship between listening to music and the development of our cognitive processes. I’m wondering, has playing music been helpful to you as an actor when it comes to portraying all these different characters or creating their personalities? Or are the two fields unrelated for you? No, they’re not unrelated at all. It’s funny and interesting because they’ve found that with actors who are athletes and actors who are visual artists, music helps. For example, I’m a big rhythm and paintings person, so being a musician really helped me, particularly with Shakespeare, which subsequently helped me with acting because I’ve played so many characters who give a lot of monologues [laughs]. So I’m good at that because I was really good at Shakespeare, and I was good at Shakespeare because of my music. I was able to apply my musical trends to my Shakespearean study. But the rhythm and the key to the character is very important as well, and you’ll find that especially when you’re doing characters who have different accents. Most of the characters that I’ve played don’t talk like me in real life, and I’ve played a few characters who speak similar to each other: you know the commanding officer, cop type. And in terms of being able to break down how I approach learning lines, I was able to apply my experiences from playing the piano, so that was also very helpful. No, that makes a lot of sense. As you said, it’s been observed in other fields, not just acting, so I’m happy that it’s been very helpful to you beyond your musical passion. So, going off that, you’ve spent most your career doing television; I could list all your roles but we would run out of time. I’m curious, as an actor, what’s it like transitioning from the schedule of television to other mediums like video games and film? Do you have to be adaptable to the different work hours or are they a lot more similar to do? The voice over roles are very different, particularly video games. The more kind of straight narrative stuff is a little similar, but even then there are differences because sometimes, when you’re voicing a cartoon character, you do all that stuff by yourself. And so you require a lot more help from the director, especially on a video game, because with almost all the video game stuff you’re speaking in a vacuum, and so you need a lot of backstory about what’s going on and what you require. You need direction on most of the lines. In terms of transitioning from television to film, it depends on the type of film. When it comes to independent movies, because they move so quickly, the experience isn’t very different for me, coming from television, particularly because most of the kind of television I’ve done is very cinematic. Doing bigger budget stuff, where more time is taken in a scene, that’s a different experience only because you have more wiggle room. Part of that is good because you have more time to get into each take and you have more takes, but by the same token you can be sitting around a lot more and that can work against you in terms of your energy and getting back into a scene. Right, I hadn’t thought about how the budget would affect the different projects. It just goes to show how adaptable you have to be as an actor. Now, speaking of film, let’s talk about The Domestics. 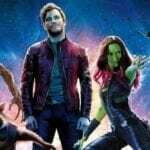 It’s funny, I read an interview that the director, Mike P. Nelson did, where he talked about how it was fun to see you be a little more eccentric with this Nathan Wood character, because you’ve sort of gained this reputation for playing more stoic, serious figures. Is it fun to do independent movies like The Domestics because they give you an opportunity to take on characters that you normally wouldn’t be asked to do? I don’t know that it was the fact that it was independent, it was just the nature of the world. So I don’t know whether it being an independent film as opposed to a bigger blockbuster had anything to do with it. But the reason I wanted to do The Domestics was….whenever you have to decide whether or not to take on a film, it boils down to three things: the director, the project, and the role. And for this one, it was all three. I thought the script was really cool; Mike showed me the concept shorts and it was really hot, it was done so well, and so it was clear that he knew what he was doing. And then the role was the kind of thing that I never get to do. So with all three elements, it was a go. Yeah, I actually interviewed Mr. Nelson, and I told him that if I had been told beforehand that The Domestics was low budget, I wouldn’t have been able to tell because it’s so beautifully shot, the craftsmanship is on point, and the performances are incredible, including of course yours Mr. Reddick. On that note, what was it like working with a first time director like Mr. Nelson? Is the experience different from working with a more veteran filmmaker? It depends. Because you know I’ve worked with veteran filmmakers who were really great to work with, but they didn’t necessarily have the kind of vision that Mike had. So my experience was I didn’t feel like I was working with a first time director. Like, I never had that on my mind. I was just working with a director who had a vision, and really the only issue for me was when we disagreed on what should happen in a scene. And Mike is very, very, very strong willed. So yeah, that was fun [laughs]. But you know, he also knows what he’s doing. That’s right, he was clearly a very confident filmmaker. Now, it would be easy to toss his film aside as another Mad Max clone, but when you watch The Domestics you really see that family is a core theme of the story, particularly with Nathan Wood and his son. For you, did you bring your own experiences as a parent into your portrayal of Wood and the relationship he’s developed with his son in this post-apocalyptic world? The short answer is yes. I definitely think that it helps playing a parent if you are a parent, because there’s a certain way of being with kids. As a parent, you tend to talk to kids as people, not like little children, even when you’re mad at them. So that definitely helped. And also the young man playing my son, [Kaden Washington Lewis], he was just so…how do I put it, he was just such a sweet kid, and he was a very good actor. And I just have to say that your chemistry was on point; it felt like a genuine relationship. I’ve seen a lot of films and sometimes the actors just don’t have that connection. What was it like developing that bond with him? Did it come naturally from the first day on set or did it take a some time to break the ice and develop? Well first of all, Kaden’s dad was on set a lot, and he and his dad are really close. So I think that helped substantially because he was always at ease. And his dad and I got along really well, so that helped as well. Cause you know, sometimes you work with children and you just don’t connect for whatever reason, maybe they don’t like you [laughs]. And then you have to work around it and pretend to go on. No, that’s interesting. I figured it would be a little tougher because you would have to compete with his father off-set [laughs]. Oh, no, cause I was not trying to compete with his father. Honestly, his dad was a big Wire fan, so it was more like his dad wanted to talk with me all the time when we were shooting [laughs]. [laughs] That just goes to show how respected you are as an actor Mr. Reddick, so that’s amazing to hear. Now, I know how busy you are, so I just have one last question. You’ve of course had so many different memorable and iconic roles over the years from The Wire to Lost to Oz. But in recent times you’ve gained attention for playing the Continental concierge Charon in the John Wick series. Pardon me for asking, but as a huge fan of the two John Wicks, is there any chance you could share any details about the third one? Will we see more of your character this time around? Unfortunately, I’m not allowed to say. I’ll take it! Thank you again for speaking with Mr. Reddick. Like I said, I was a huge fan of The Wire as a teenager. You’re a terrific actor and this has been a wonderful experience. Flickering Myth would like to thank Mr. Reddick for sitting down with us. 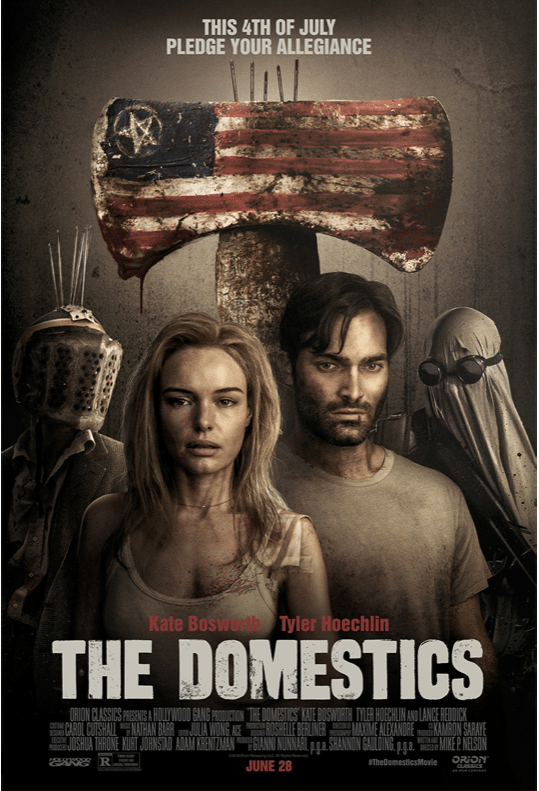 The Domestics is out in select theaters July 4th.